Nature is a beautiful thing if we all take the time to enjoy it. 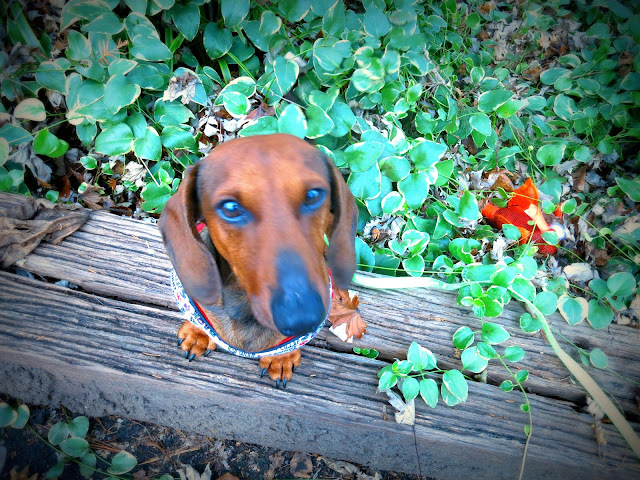 Nature isn't the only pawsome thing in this photo...get a load of my handsome face, my little paws, and my colorful harness! REMEMBER, you only have until Saturday to send in your treasure hunt pictures! 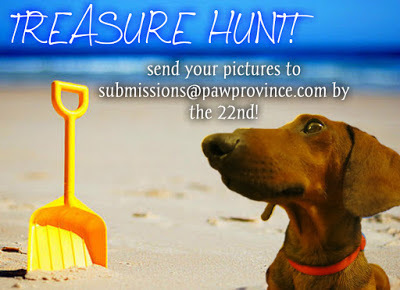 Email your photos to submissions@pawprovince.com and you're ready to go! Your new harness is quite spiffy! We can't wait to dig up some treasure. Now that is one handsome face. You all have a great day. Great picture of you! I'm looking forward to the fun and games at the Blogville Spring Break event! I wonder what kind of treasure we'll find? Nature is WONDERFUL. You are a NATURAL Nature Lover.